Welcome to the magical world of What Delilah Did. 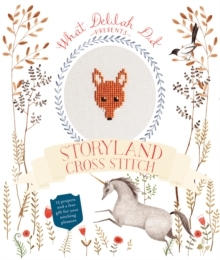 Step inside and explore the wonders of storyland cross stitch. Here be beasties from long, long ago. 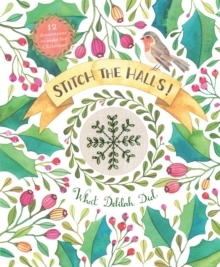 Starting with a basic guide to counted cross stitch, projects are divided into three chapters: Projects for Beginners, Practice Makes Perfect and Projects for the Brave and Determined. Projects include Minature Motifs, Secret Key Bookmark, Golden Goose Lavender Sachet, Cameo Frames (the Princess and the Knight) and the Coat of Arms Book Cover. Choose a colour, pick up your needle and thread, and let your imagination go wild. 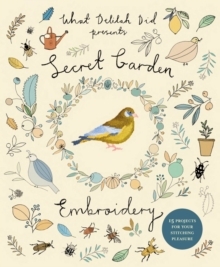 With simple small projects for beginners, and more complex charts for seasoned cross stitchers, you will soon find your thoughts whisked away to hidden places, untold mysteries and secret dreamlands.